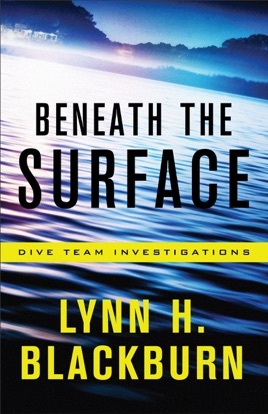 Beneath the Surface (Dive Team Investigations Book # 1) by Lynn Blackburn is a Total Adrenaline Rush! Blackburn is a new to me author and I am a fan! I am a voracious reader and I need to be “hooked” quickly. Blackburn had me “hooked” in the first paragraph and I was totally invested within the first five pages. This is not a novel to read in snippets or to be read at the same time as you are reading two/three other books. (There are plenty of novels that can be read this way.) This plot is complex and if you come and go in your reading too many times or read too many other books while reading this one, you could easily lose the intensity, forget who secondary characters are and miss nuances that may be key to solving the mystery. Blackburn has given readers a truly amazing romantic suspense novel. The setting is a small town with a medical center and a neighborhood with large lots and a huge lake behind the homes. Blackburn’s characters are realistic, complex, the best at their professions, working to strengthen their faith, the romance is sweet and tender and and one is pure evil! She manages to keep you on the edge of your seat for the entire book and makes you feel as though you are running for your life. The intensity continues to rise throughout the book. There’s nothing quite as creepy as reading along and discovering the killer is from your hometown! That’s when you momentarily FORGET you’re reading fiction and start rereading the name and see if you recognize it so can ask family and friends if they recognize it! That’s REALISTIC FICTION! Ryan and Gabe homicide detectives on a dive , volunteering to be on call, when needed. 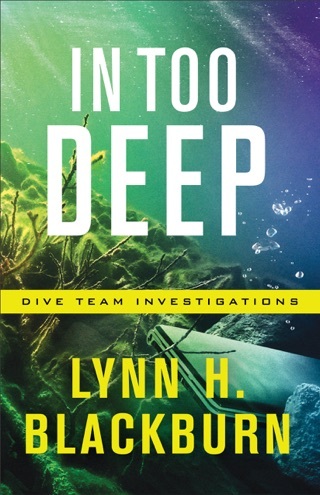 Finding weighs and chains to a body, wasn’t the norm to find on a dive. Using the dock at Leigh’s place, he was keeping eye on her anyway, brother had mentioned, she had a stalker. A good plot, trying to figure out the stalker, and assuming it is a man, and why did it envole her. An usual plot, that keeps you to the end, and the reaso behind it all. Given ARC by Net Galley for my voluntary review and my honest opinion.